The Marksmen (not to be confused with the American country quartet from the fifties, or the instrumental pop outfit from Melbourne around the same time) were one of this city's earliest rock groups with it's earliest incarnation forming in 1961 under the name of The Saints (not to be confused with the Brisbane band of seventies). Consisting of Ian Porter (guitar), Neil Porter (guitar), Danny Coutts (guitar), & George Morell (drums), The Saints worked up a strong local following and scored a weekly gig at Berkeley Scout Hall where they'd play the surf instrumentals of the likes of Duane Eddy and The Shadows. Splitting towards the end of '61, Neil Porter and Coutts reformed as The Tremors in '62 with David Kirkup on drums and Lyle Maclean on guitar (Porter had shifted to bass), and began writing their own material and adding vocals to their stagecraft. To this end, the band recruited Brian Davitt on vocals to enable the musicians to work on their harmonies. The band began getting local gigs and scored several TV appearances on Channel 4 (now known as WIN TV). 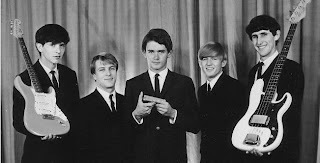 Setting their sights higher, the band changed their name in '63 to The Marksmen and began heading to Sydney for support slots with The Atlantics and Billy Thorpe & The Aztecs, and received some exposure in Women's Weekly. 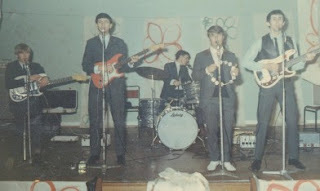 Devitt soon left the group to be replaced by Bobby Kerr, and the band continued to work the local circuit which included the Mocambo, Zondrae's, Wonderland, Wongawilli Town Hall, and The Blue Haven Club. They were also regularly invited to play events organised by both the Young Liberals and Young Labor, and in '65 gained a support slot with the Bee Gees. In '65 Kirkup left the drum seat vacant, to be filled by Tony Markham. Not long after, the band were discovered by Wilding Forbes who worked as a DJ at 2WL (now Wave FM), who connected the group with Larry Lawrence, and took on the role as manager setting them up in the studio to record two originals for a self-financed '45. The single consisted of 'But Why?' 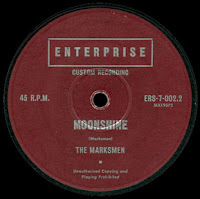 b/w 'Moonshine' and was recorded by Ossie Byrne - a Tarrawanna local who made it big recording the Bee Gees' 'Spicks & Specks' - and released on Byrne's own Enterprise label. The single enabled the band to tour to Canberra and onto Melbourne for a number of TV appearances. In December '66 Markham "borrowed" a car from his employer who promptly reported it stolen. Markham spent the night in gaol and had to sell his drums to pay the fine. Markham then sent friend and novice drummer Geoff Foster to the band as his replacement. A significant line-up change occurred in '68 when Coutts left the group. Rather than finding another guitarist the remaining members recruited Stephen Sadler to play keyboards. This line-up went on to win the NSW Country finals of Hoadleys Battle of the Sounds. Despite this success the band remained unsigned and then Kerr was replaced by Alex Stefanovic from another popular Wollongong act The Nightwalkers. By the end of '68 though, The Marksmen had outgrown Wollongong. They changed their name to Imagination and focused solely on playing Sydney five nights a week. Thanks to Ged Fitzsimmons whose firsthand knowledge is irreplaceable, and Neil Porter for the corrections. You used to ring 2ue and annoy the hell out of them.